Last night I snapped my book shut and groaned. I looked at the clock: it was 3:00 am. 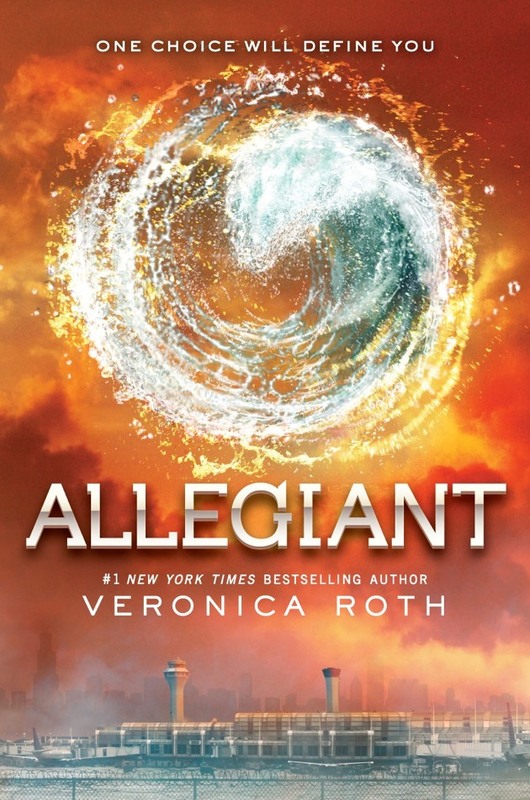 I couldn’t sleep, not after finishing Veronica Roth’s Allegiant, the third and final book in the Divergent series. The post apocalyptic, dystopian YA novel was one that I had been looking forward to reading for quite some time. And while I enjoyed the first book better than the second, I can now say that I enjoyed the second better than the third. Upon reading the final page, I wondered how I was ever going to review the book for my blog post. I got out of bed and paced, aching to tear another book off my shelf and read something familiar. I could have written a review last night, but I was too worked up. And I don’t want to write a scathing review, because who am I? It wouldn’t be fair. The author decided to do what she did for a reason, and I have to accept that. I reminded myself that I respect Veronica Roth, and appreciate that she tried to stray away from the love triangle theme that so many YA books thrive on, as well as portrayed a sense of realism surrounding love, death and loyalty. So, I’m going to keep this short and sweet. At the end of the series, I just felt cheated. It’s as simple as that. I was emotionally tied to the two protagonists, Tris and Four (Tobias), and the fact that the strong female main character, Tris, was killed in the final chapters, left me speechless and frustrated. I wanted her to win. She deserved to. I felt as though the novel was supposed to make me feel that Tris committed the ultimate selfless act, which she did, but in actuality it turned out that her friends didn’t need her to die the way she did. Four managed to give his mother an ultimatum, and their world was destined to change from that moment on. You may be inclined to tell me that good writers in this genre let their characters die, which I can understand, but so many of Roth’s characters had already died. I guess I was rooting for a happy ending for Tris, and I just didn’t get it. C’est la vie.That’s life. That being said, the lesson here is that I probably need to work on not getting so invested in fictional characters. Look what it does to me! Here is one good learning from the series: Roth’s characters made me want them to win, and I can learn a lot from her character creation/development and apply it to my own writing. In the meantime, I am looking forward to the Divergent movie, out this March. Check out the trailer here. Veronica Roth’s blog where she explains why she ended the book the way she did, can be found here. Let me know your thoughts on Allegiant.